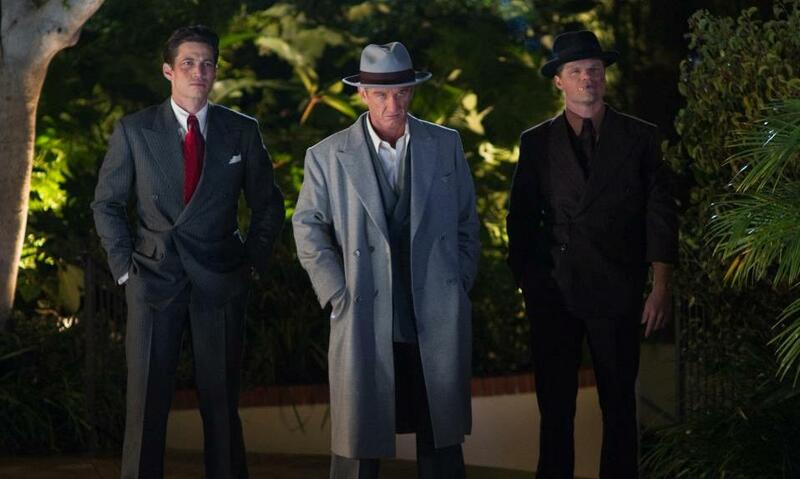 One thing that has been missing from theaters lately is a really good gangster movie. Director Ruben Fleischer, who also directed the super awesome Zombieland, takes a shot at the genre by adapting Gangster Squad from a novel written by Will Beall and Paul Lieberman. 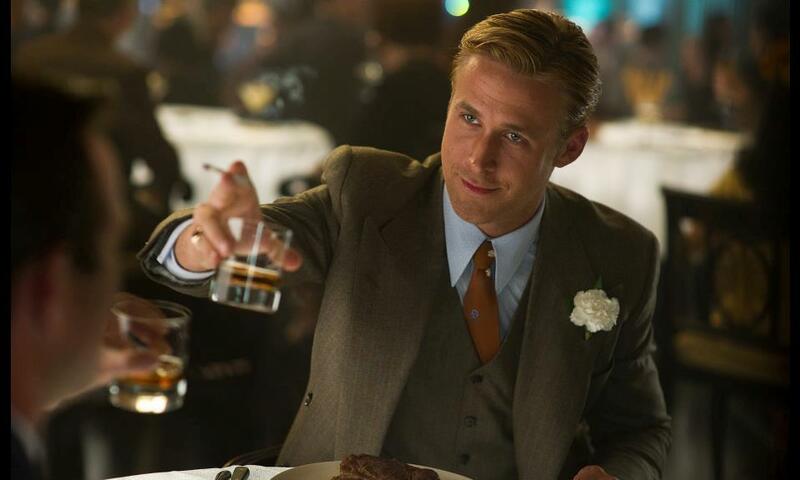 With the combination of Penn, Gosling, and Brolin headlining the cast, there is no doubt audiences will be looking to see if this is a movie they can't refuse. During 1940's Los Angeles, mob boss Mickey Cohen (Sean Penn) was on the verge of leading a new regime that would monopolize the underworld's cash flow for the entire western half of the United States. The only thing bigger than the man's dreams was his attitude and ruthless nature towards anyone that would stand in his way or slow down his progress. Cohen's trail of bloodshed, dirty cops, and even dirtier money convinced police Chief Parker (Nick Nolte) that he needed to put together a secret task force who's sole purpose was to reclaim the City of Angels from underworld occupation. After discovering Sgt. John O'Mara's ability to almost single-handedly take down one of Cohen's operations, Parker put him in charge of organizing his team of vigilante soldiers and gave him free reign to pick whoever he needed. With a team of unlikely yet ruthlessly dedicated members in place, O'Mara quickly began dismantling as many of Cohen's businesses as quickly as he could. 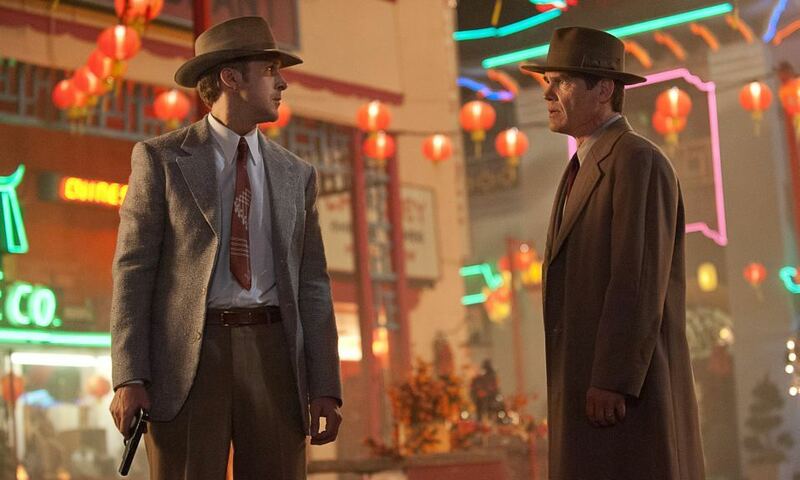 After discovering the mob leader's ultimate plan, the two men end up on a crash course towards each other that would decide the fate of the city. You know how sometimes you see a trailer for a movie and your first thought is how the movie itself will probably be nowhere near as good as what the trailer makes it out to be? 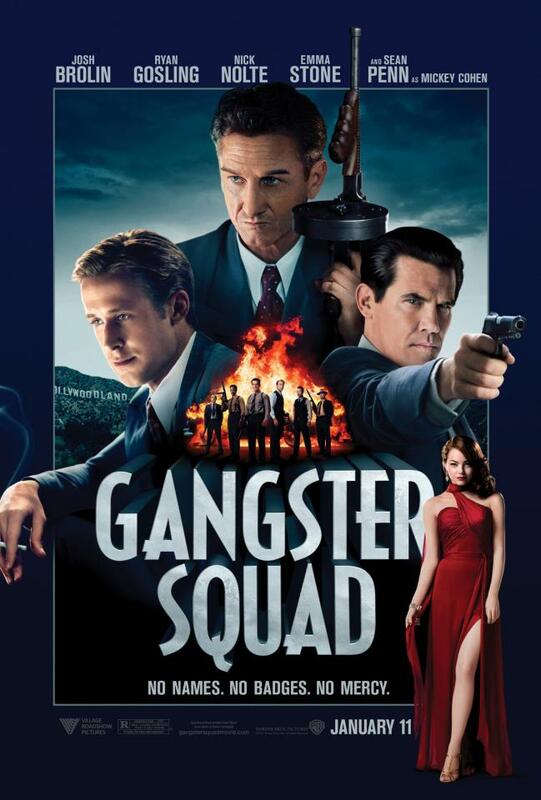 Gangster Squad is not one of those movies, it actually is a really good movie! One thing that helps this movie along is the amount of star power throughout the cast. At the beginning of this review I mentioned Sean Penn, Josh Brolin, and Ryan Gosling (this is where the ladies swoon) which would normally be enough, but then you add in Emma Stone, who just shines in this movie, as well as Robert Patrick, Nick Nolte, Giovanni Ribisi, Michael Peña, and Anthony Mackie and you have a roster of talent that is as explosive as a truck soaked in gasoline (yeah, there's one of those in the movie, too!). Fleischer definitely knows what to do with action sequences as each one in this movie is non-stop, edge-of-your-seat intensity and there is no shortage of bullets flying, punches being thrown, and stuff exploding. He does a good job balancing the action and drama with some comedic moments here and there that stay just on the right side of being genuinely funny without becoming overly cheesy. The overall tone of the movie is fun and does a great job of being too heavy handed which is the downfall of a lot of these types of movies. 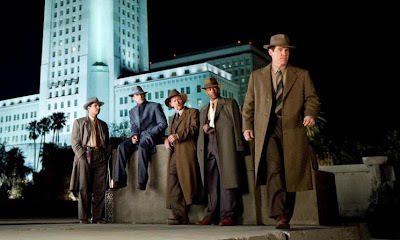 With Gangster Squad, there really isn't much to gripe about other than a few oddly placed visual effects that are more of a distraction than anything else and a typically dry performance by Josh Brolin that pales in comparison to the other featured cast members. Outside of those two things that I found to pick on, this is a very entertaining movie that draws you in with a bold visual style and pulls no punches in telling a story that takes you deep in to the heart of a war between a ruthless gangster and the squad that was put together to bring him down. I was really expecting much more from this film, but it is a good movie, don’t get me wrong. It’s just that the weak direction and a predictable plot was really disappointing. Great review Marc. Thanks, Dan! I wasn't really expecting a whole lot from the movie, which I guess is why I was pretty happy with the end result. From what I've gathered, it seems like a lot of folks were wanting it to be more of a raw, gritty historical type thing which it really wasn't at all. Definitely more of just a stylized, shoot-em-up action piece.